Eye primers are as essential to me as the beautiful colors they hold in place. The thin extra layer on the lid and the 40 seconds it takes to apply a primer repay themselves ten times over with a smoother makeup application and by keeping eyeliners and eye shadows from moving or fading. It's just a matter of finding the ones that work. Youngblood Mineral Cosmetics' Stay Put Eye Primer definitely works. It has a light waxy texture that adheres nicely to the lids and gives makeup something to grab onto. I've been looking for a good replacement for my old Paula Dorf primer (it's still in production, but I stopped buying from them since the brand has changed hands and manufacturers), and Youngblood is the closest I've come so far. The primer is translucent on the lid and have an exceptional hold. colors look true to pan over it, and survive all day long through, thick, thin, and rain. The secret here is in application. 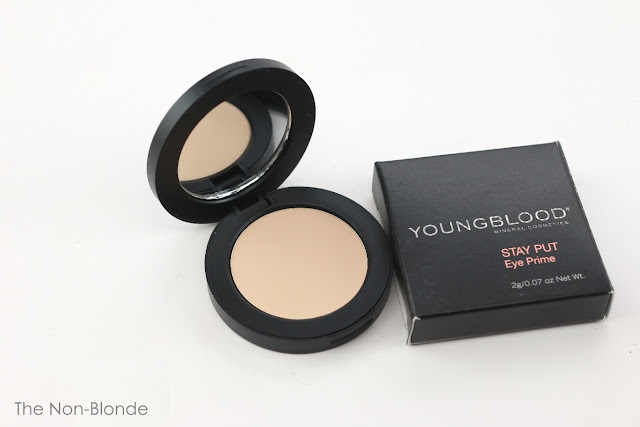 While Youngblood state that you can place the primer using your fingertip, I've found that doing might result in a patchy and uneven surface, and blending is not as smooth as it should be. I prefer to use a flat synthetic brush, preferably with some width like the Paula Dorf one above or a cream eye shadow brush (concealer brushes are often too narrow to cover a good amount of space). You only need a the tiniest amount of product (just the pan's surface lightly. It's enough), and the brush spreads it evenly into an invisible but just sticky enough layer. And that's all one needs. 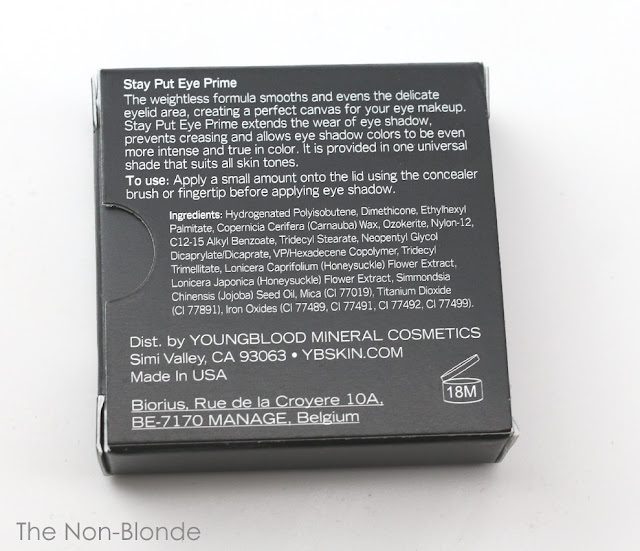 Youngblood- Stay Put Eye Primer ($18, made in USA) is available from the company's website, ybskin.com. The product for this review was sent by PR. Thanks for this! Will definitely have to get some and very much appreciate the application tips.